I am not a well-traveled person but for some reasons I had to travel. So I do purposeful travels (medical missions/mission trips, appointments) and do side trips (recreation and adventure) after whenever I can or shall we say vacation with a purpose. I believe that travels need not be very expensive especially nature trips because God gave them to us already. For now, I am of the opinion that this it true. Nature trips are my favorite. They make me closer to the One who created it and it relieves me so much of my cares plus the exercise and healing properties it brings to my body is truly beneficial. I love to explore nature and do a lot of reflections! 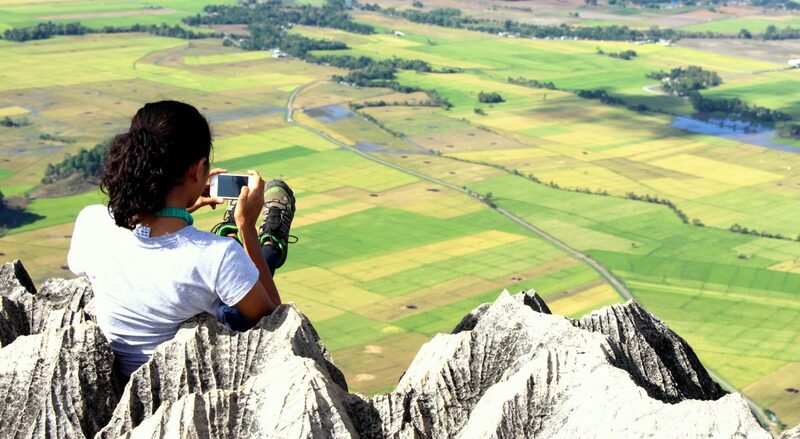 With the emergence of DIY travels, I wish to share my travels to give information to the readers on my experiences, adventures, tips on organizing trips, what to dos and how to get there, wonderful destinations especially my own place, BUKIDNON, PHILIPPINES, and beyond its borders (Mindanao, Visayas, Luzon and Asia). Most importantly, I hope to share the reflections and object lessons I got from these experiences. So when I’m not in the wellness center taking care of patients or teaching in a classroom, I am in the mountain/forest/falls reading a book and reflecting or in my room writing a blog. Enjoy my trips and most importantly the reflections! Feel free to comment. Happy tripping and reflecting! Great pun Ple! Definitely, you still hold the title as the “one liner” since YT days. You always have something nice to say. :). I will write as long as you will edit and peer-review it. Yey! I didn’t even notice that I’ve been saying “nice” comments maybe because you are simply amazing and I can’t help but appreciate it! Hope you find your way there. God bless your plans. Can we still go without a guide? There are trails on the upper part that may not be easy to locate right away if its ur first time. You can go without a guide if its ur second time. But if you are for an adventure, you can also go as long as u hv previous experiences of mountain climbing. Praying for ur plans. Hi Gracie I am planning to visit Cinchona Falls. Do you think one day is enough if I intend to go to all 5 falls? Or is there a place that accommodate guests for a fee? Hi Matit! I think it is enough but you just need to be really early in order for you to really enjoy.. like its nicer if you can be there 8am, then you can explore it and have the whole day. so far in the area, there are accommodation but its for the tent. There’s also a house which I haven’t asked if its for the accommodation. If you plan your time well, I’m sure one day will be enough.